Where would we garden lovers be without the NGS? One of the most important gardening organisations here in the UK is the National Gardens Scheme (NGS) - both in terms of fund-raising for the charities it supports and of public accessibility to gardens that would not normally open. And with more than 3,700 participating properties this year, the NGS is a really major player in making the public more aware of gardens around the country. 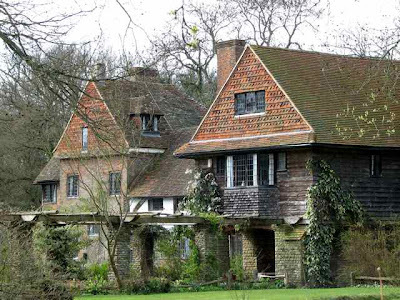 There are some gardens that only open a few times a year under the scheme, like Bramdean House (top picture). 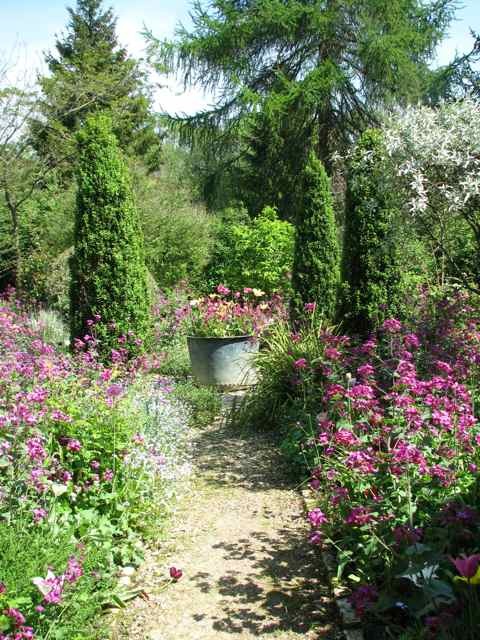 This is a fabulous plantsman's garden, with borders that will make you stare in amazement and wonder where you went wrong with your own! They are at their peak in June and as you wander through the five acres of land behind the house, you will really appreciate their perfection from a distance - when you realise that they are mirror images of each other framing the house. Bramdean is open on 13 June, 11 July, 8 August and 12 September (14.00-17.00). Then there are the gardens that only open one day a year, so you need to plan ahead and make a note in your diary. Mary Keen's garden at The Old Rectory in Gloucestershire (right) is one of these. Home to the well-known garden writer, it's a prime example of cottage style gardening at its best - a truly delightful garden with its meandering paths and topiary. It takes a while to get there because of the winding Cotswold roads, but is well worth making the effort to see on 12th July (11.00-18.00). There are also many other beautiful gardens nearby so you might spend an overnight stay in this part of England. There are also the gardens that open for several consecutive days throughout the season, like Vann (below), which is open this coming week. And if you've got time, I urge you to go and visit because this is a stunning house and garden, with a fine example of a Gertrude Jekyll water garden. Vann is open from 2-9 May and 6-13 June from 10.00-18.00 each day. What is really noticeable about the NGS this year, is the great strides it has made with its website, particularly the Garden Finder facility, so that you can search by area, date or postcode to locate garden openings near to you. There is also the famous "Yellow Book" which lists all the open gardens around the country. But in reality, the praise must go to the garden owners themselves, who work ceaselessly to prepare for the onslaught of open days, and can then find themselves rained off! Stunning gardens and thanks for the info. We are visiting England in September, and have planned a good portion of our trip around the NGS open gardens! It would be wonderful to have such a program in the US! Beautiful gardens. We are expecting snow today in my part of the world! Thank you for sharing and the infomation. Simply stunning! And I agree about the NGS and the heavenly Yellow Book. With so many private gardens opening their gates to the public it's an embarrassment of riches. 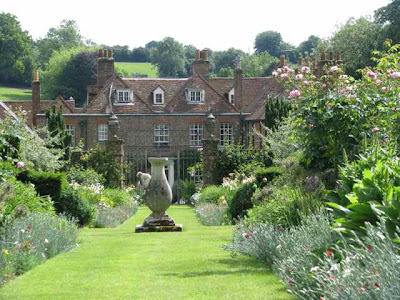 I simply cannot believe how many sublime gardens exist in Britain. And how many exceptional gardeners. What a heritage, indeed.